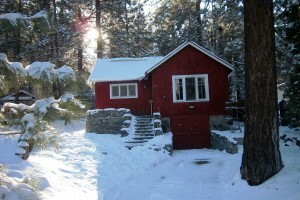 Wrightwood Cabins has been offering fine vacation cabin rentals in Wrightwood, California since 2006. Currently The Little Red House is our only cabin offering. Walking distance to town and a short drive to the Mt. High Resort we are a great choice for a quick getaway. Come on up and enjoy the cabin as you take in the beauties of Wrightwood.